This is the story of one of the most vibrant and widespread upheavals of the 1960’s–one that had profound impact on American society, yet has been virtually obliterated from the collective memory of that time. The feature, 90 minute version, also tells the story of how and why the GI Movement has been erased from the public memory. The Spit Hits the Fan – Jim Slotek , The Toronto Sun. If you want something done right – Ellen Snortland, Pasadena Weekly. Reflections on the Anti-War Documentary, Sir! No Sir! – Jerry Lembcke, History News Network . Sir! No Sir! – Eleanor Ringel Gillespie, The Atlanta Journal-Constitution. 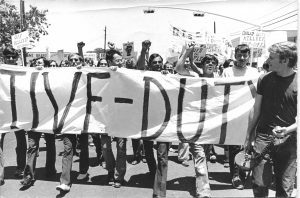 Film pushes anti-war agenda – Rhian Hibner, Daily Lobo. Sir! No Sir! – David Cornelius. DVDTalk. Sir! No Sir! – Jonathan Rosenbaum, The Chicago Reader. 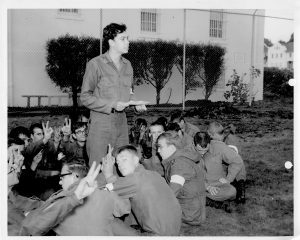 Vietnam War-era documentary studies protest in the military – Harper Barnes, St. Louis Post-Dispatch. Film looks at GI foes of ‘Nam – Larry Ratliff, San Antonio Express-News. Sir! No Sir! – Lee Grant, The San Diego Union-Tribune. Hell no, the ranks hated war – Geoff Pevere, Toronto Star. Not everyone was following orders! – Jason Anderson, The Globe and Mail. Documentary reveals resistance to Vietnam War among vets, military – Tom Keogh, The Seattle Times. Reliving the battles against Vietnam: Zeiger documentary shows U.S. not as divided as thought – Katherine Monk, The Ottawa Citizen. Dispelling a Popular Misconception – D. D. Delaney, Port Folio Weekly. Divided We Fell – Gregory Epps, Portfolio Weekly. Sir! No Sir! – Jason Buchanan, All Movie Guide. ‘Sir! No Sir!’ stirs emotions, explores highly controversial subject – Ron Wynn, Nashville City Paper. Sir! No Sir! – Bill Gallo The Seattle Weekly. “Sir! 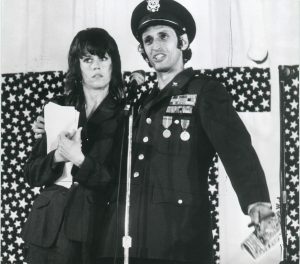 No Sir!” The Story of the GI Anti-War Movement – Michael Donelly, Counterpunch. Sir! No Sir! (2005) – John Sunier, Audiophile Audition. 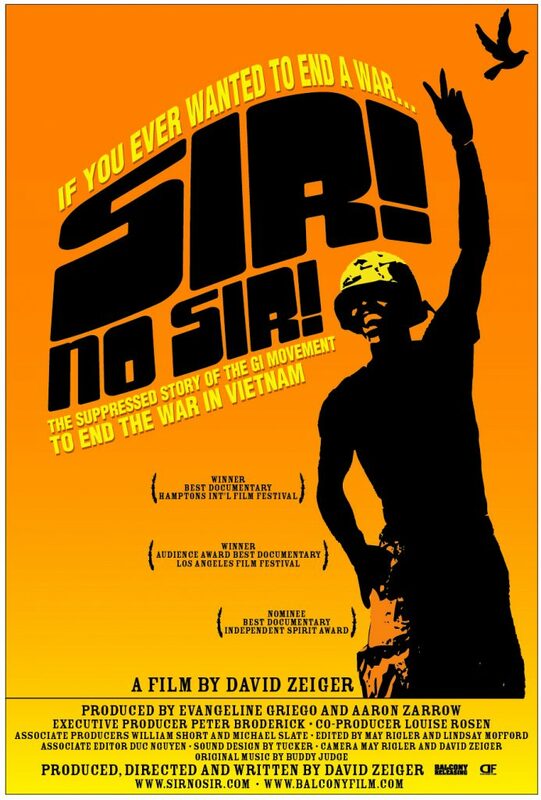 NEW FILM:”SIR NO SIR!”: Silence Broken About Soldiers Anti-War Movment – Lydia Howell, KFAI. Sir! No Sir! – Styeve Rosen, Cincinatti City Beat. Hell no, we won’t go! – Ken Eisner, The Georgia Straight . Not everyone was following orders – Jason Anderson, The Globe and Mail. The GI Movement Against the Vietnam War 1966-1975 Sir! No Sir! 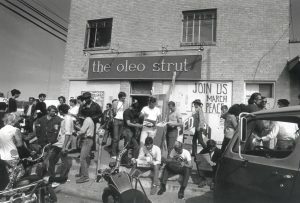 A Film Review – unsigned, www.ais.org/~jrh/journalism/GI-Movement.doc . British law: United States of America 2005. Displaced Films is the author of this motion picture under British law. and/or criminal prosecution in accordance with applicable laws. 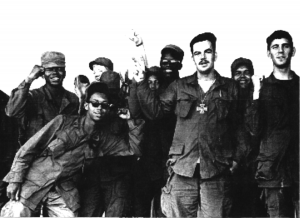 Want to learn more about the Vietnam Resistance Movement?